Automated SEO â€“ A Possible Future According to Yahoo! Not long ago SEOs were regarded as snake oil salesmen who manipulate the search engines. There are folks who really believe that search engines hate SEOs, but I guess this belief will change as soon as they learn that all search engines have or encourage SEO programs, services and strategies. Microsoft has an SEO program, Google offers an SEO starter guide (pdf), but Yahoo! beats them all: Yahoo! 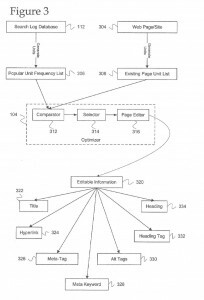 will probably become the first search engine to perform automated search engine optimization, or at least this is what the reader who stumbles upon this patent application might be tempted to believe. Is this an ethical approach to SEO, or are we dealing with a new form of black hat SEO we could as well name Yahoo! Hat SEO? When Google acquired DoubleClick many search experts questioned the ethics of a search engine owning one of the world’s largest search engine marketing companies Performics. The Google-Performics marriage ended in September 2008 when Google sold the search engine marketing and optimization part of Performics to Publicis, keeping the affiliate part to itself, rebranded as Google Affiliate Network. The move made sense: Google had to avoid the conflict of interest inherent in world’s most powerful search engine owning a search engine marketing agency. In 2008 the news about Google owning an SEO firm was shocking. This year the shock comes from Yahoo! 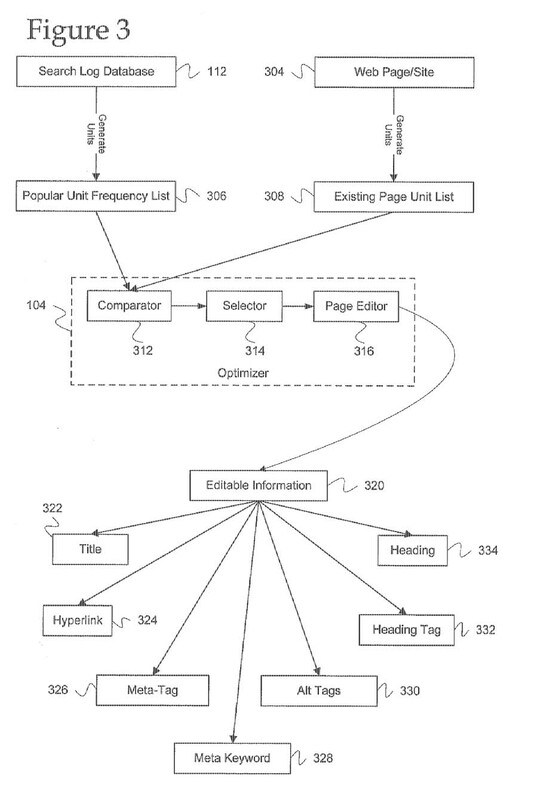 The company wants to patent an “automated system to improve search engine optimization on web pages” no more and no less. There are a lot of issues wrong with this type of application, including a conflict of interest similar to the one that made Google sell Performics. Automated SEO – What’s the Point? The automated SEO may analyze search query logs, or a search log database to determine popular concepts/units which may be automatically utilized to optimize a site or page for search engine results. The site or page is edited based on the automated SEO. The automated SEO will not “suggest” changes – the point of this “invention” is to change things without human intervention and scrutiny. The change suggested in the paragraph above refers to automatic keyword insertion/replacement. Keywords and keyword phrases are defined in the patent application as “units.” These “units” are identified by comparing a plurality of popular keywords from a search query log, based on search frequency and related keywords from the search query log. The resulted “units” would then be automatically incorporated into the page, replacing the less popular keywords they correspond to. To me this looks like a very refined keyword stuffing tool. Based on the relative popularity of particular units (as determined by the frequency with which the particular unit is searched for) the search engine optimizer may make changes to a page to optimize its presence and position in search results for popular searches. In one embodiment each of the editable information may be ranked or given a point value that is reflective of its significance for SEO. For example, the point value may be from 0 (least relevant) to 100 (most relevant). The title may have a value of 100 because it is important for search engines and for SEO, while the meta keyword may have a value of 10 because it may be less important to search engines. A dynamic programming algorithm may be used to edit the page to include units from the unit frequency list in the editable information. In one embodiment, the most popular unit may be assigned to the two instances of editable information with the highest value, while the second most popular unit is assigned to the two instances of editable information with the next two highest values. It seems to me that not so long ago we (SEOs) were nothing more than SERP manipulators and now the engines are taking the, ‘if you can’t beat ‘em, join ‘em’ approach. Would sites that change focus based upon the popularity of search terms sacrifice their identities to chase after more popular search terms on a regular basis? The patent application also discusses changing the URLs of pages to include new keywords, and redirecting visitors to new URLs based upon those changes, which could create a challenge when it comes to a search engine indexing the pages of a site, as well as analyzing the effectiveness of pages of the site. It also may cause problems when people might attempt to re-find pages they have visited before, when those pages may be constantly changing in content and location. The identity question occurs to me as the most pertinent one. Changes to content (titles and URLs specifically) may interfere with navigation and usability, which can be upsetting for the visitors. Also, changing keywords to chase current demographics may lead to a complete change of meaning and content quality loss. To change to capture a market buzz, then deliver other content is like a bait-and-switch tactic and that will lose more readers than it gains. – said web strategist Liz Strauss during a private interview. In the light of these developments, what are your thoughts? 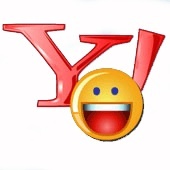 Would this potential service by Yahoo! bring value to publishing or is this something undesirable? As an SEO person myself, I never really liked automated SEO anyway. As for black hat strategies, these give a bad name to us (SEOs) all. Note: Yahoo!’s patent application Automated system to improve search engine optimization on web pages was filed June 28 2007 and Assigned to Yahoo! Jan 01 2009. The authors are Chyr-Chong Ting and Adam Hyder.